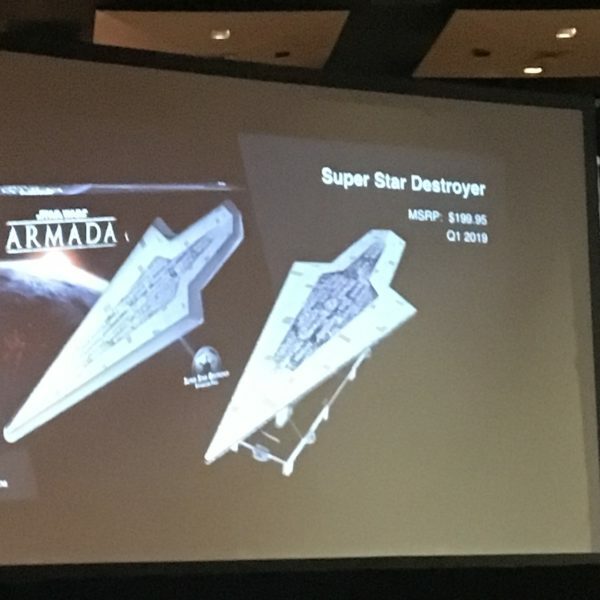 By big I mean super as in Super Star Destroyer. 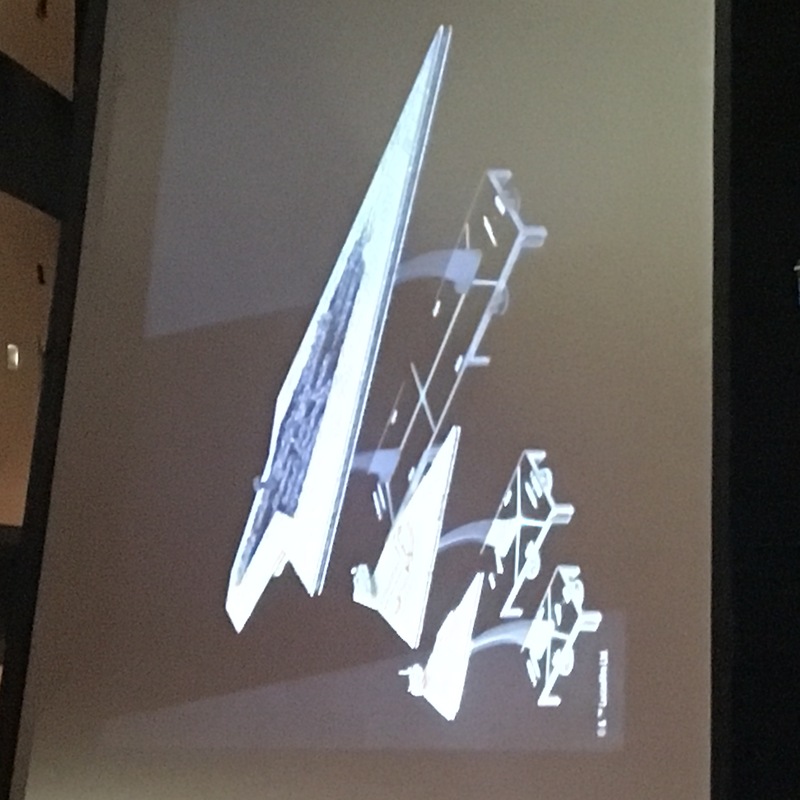 This massive model will be on display in the hall but they previewed it tonight. 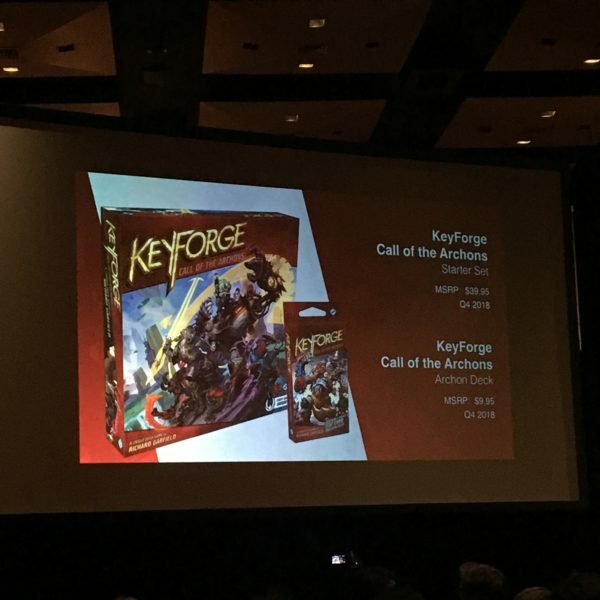 The $200 MSRP model is the biggest created from FFG and will take up a lot of table space. 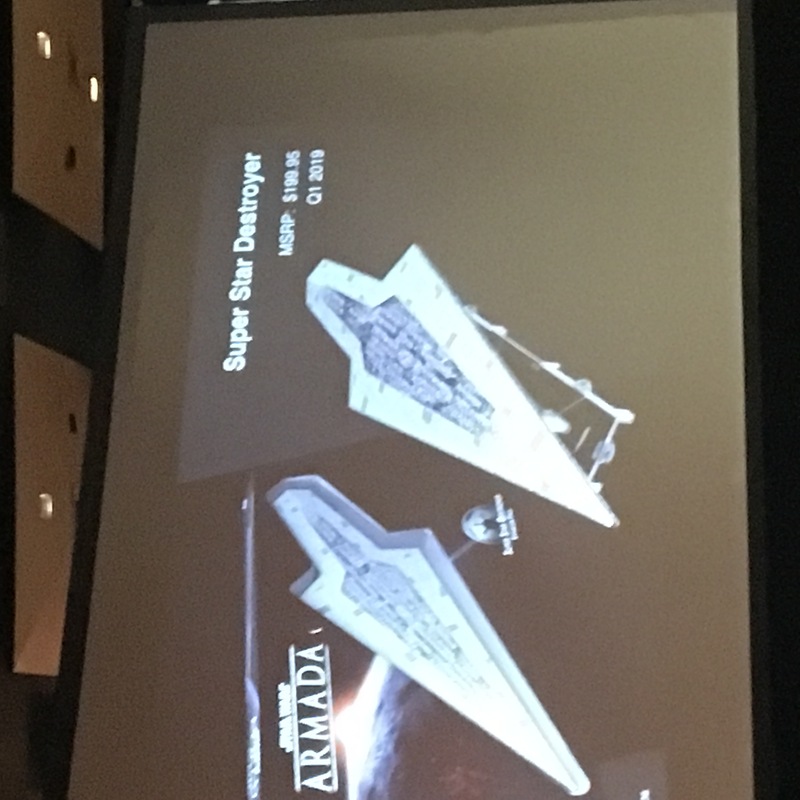 I don’t have a lot of exhibit hall time but will try to get better pics as my time allows. 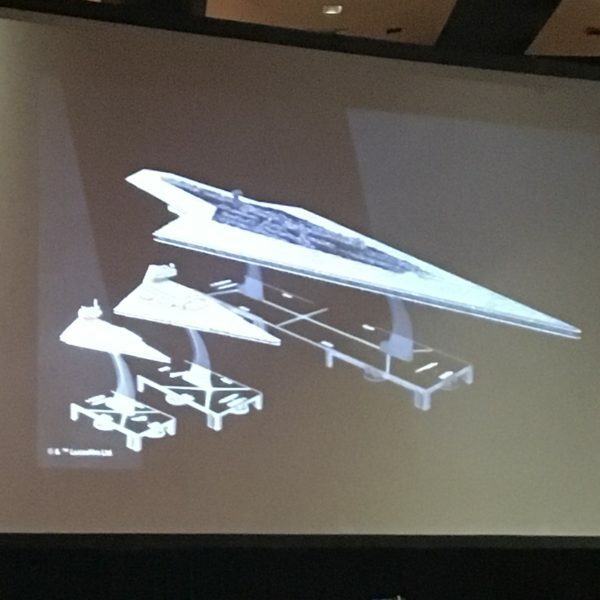 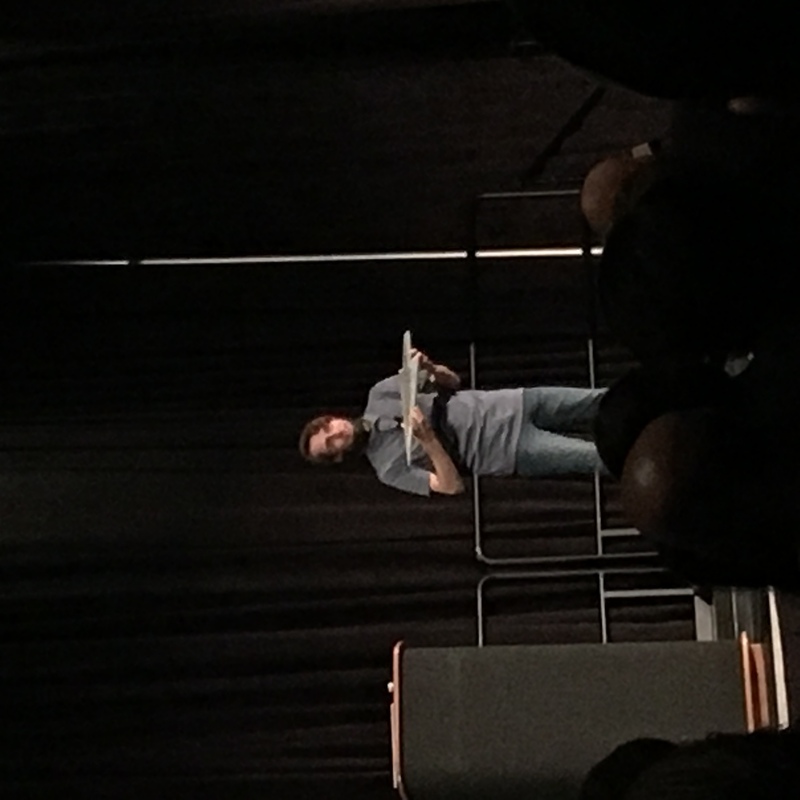 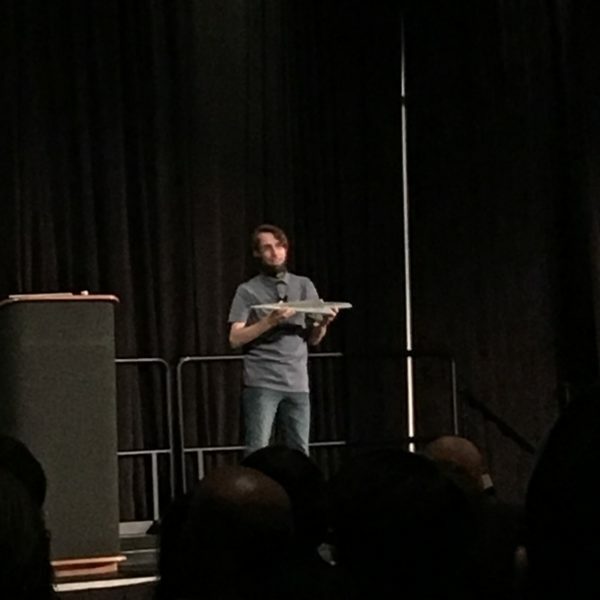 FFG wasn’t done with their announcements though and laid out plans to make the modern Star Wars trilogy factions full factions in X-wing 2.0 and add in the Clone Wars era material to both X-wing and their tabletop game, Legions. 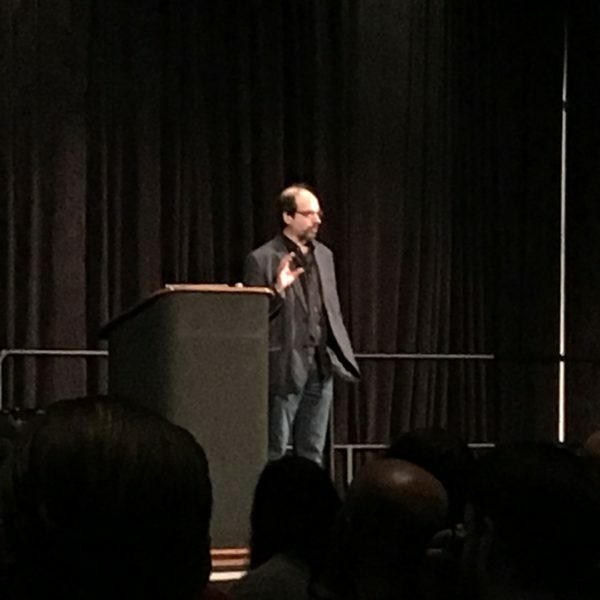 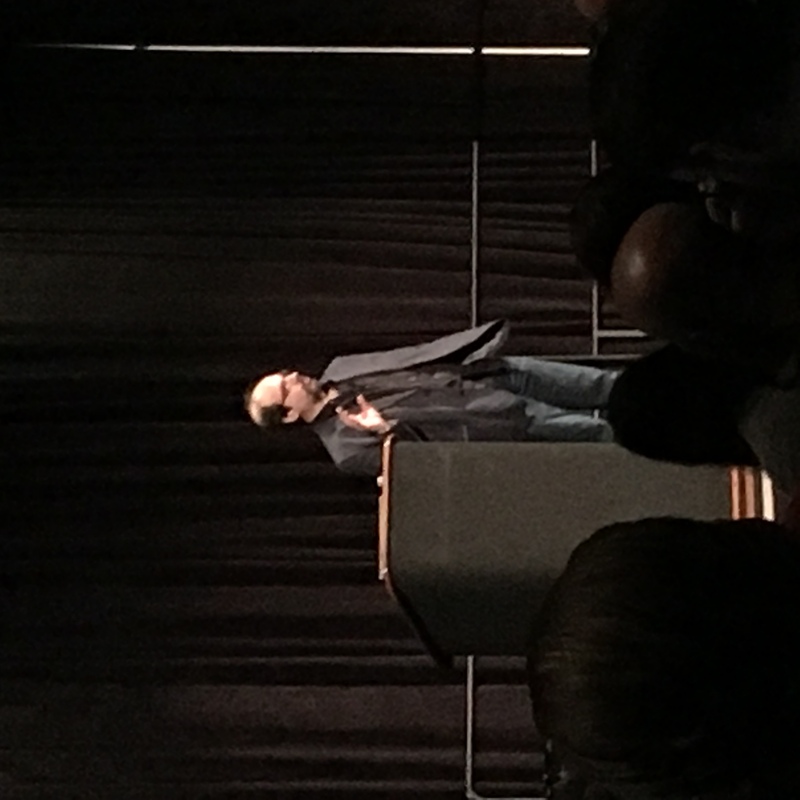 FFG concluded the night by bringing in legendary designer, Richard Garfield to talk about his new game coming out in Q4 of 2018. 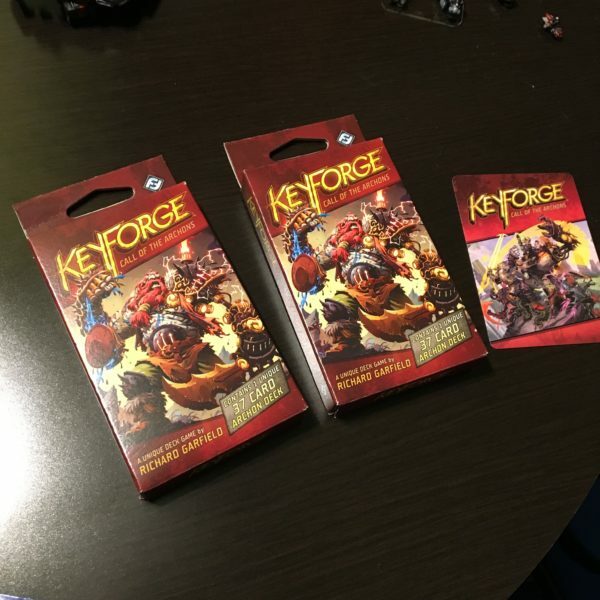 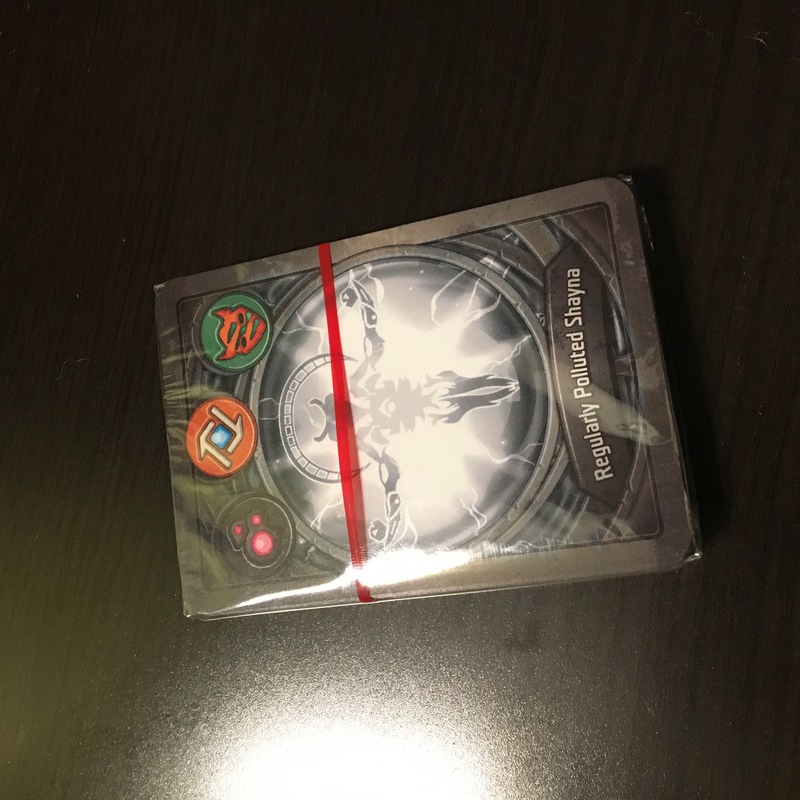 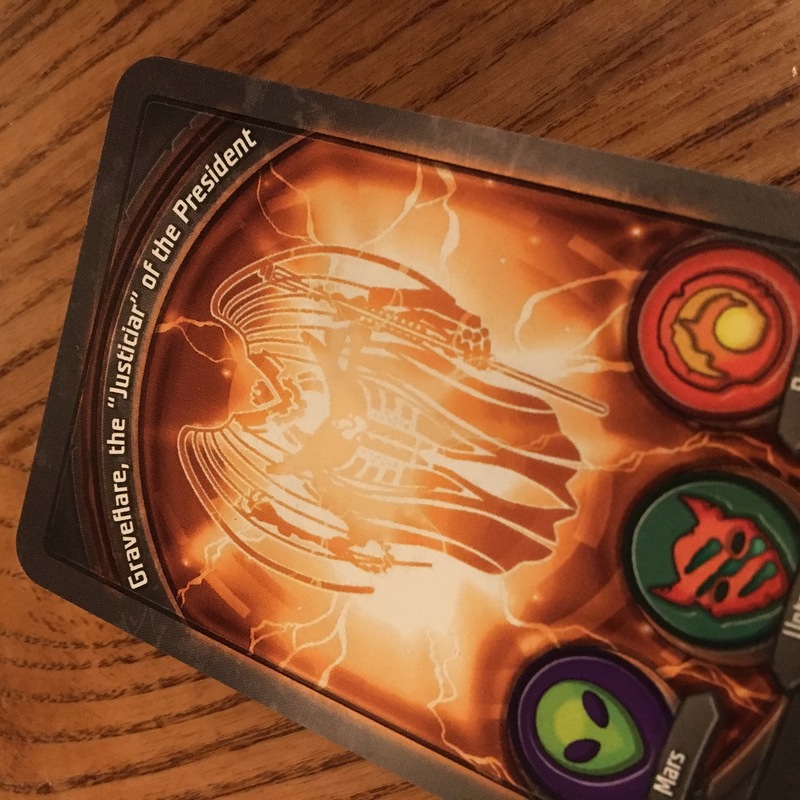 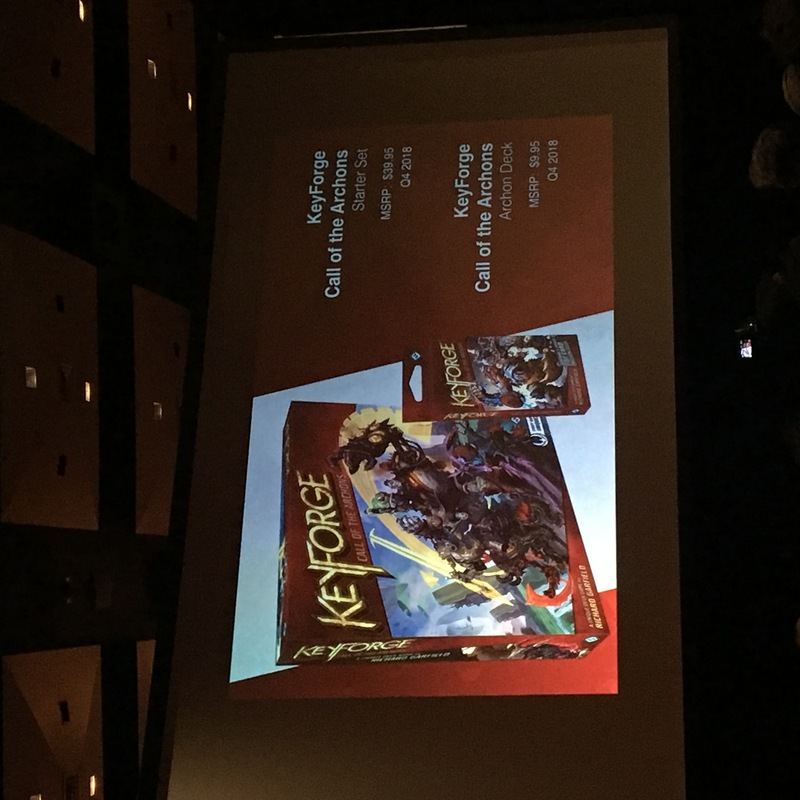 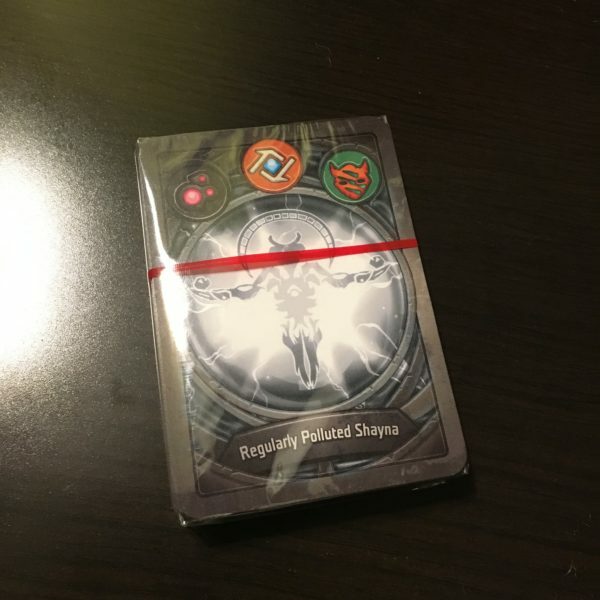 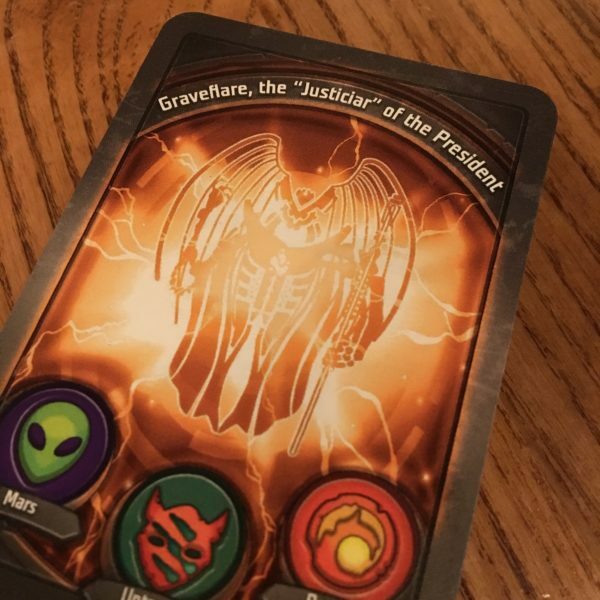 Keyforge is a new collectible card game being produced by FFG later this year. 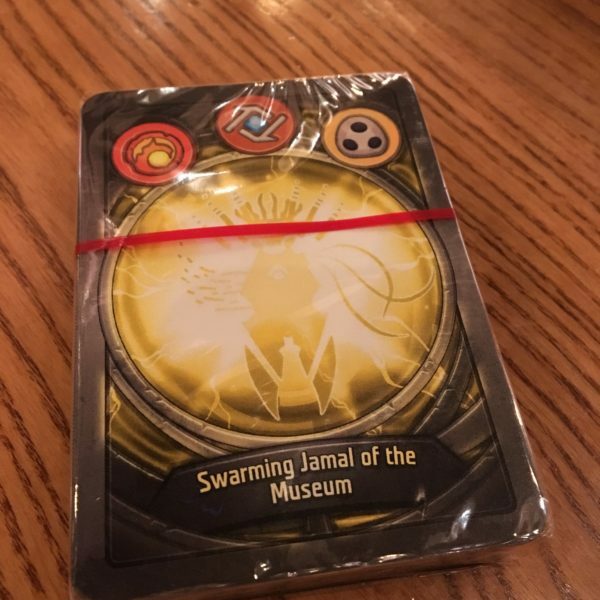 It will feature a brand new IP with a new collecting mechanic where you buy decks but they are all preconstructed and completely unique. 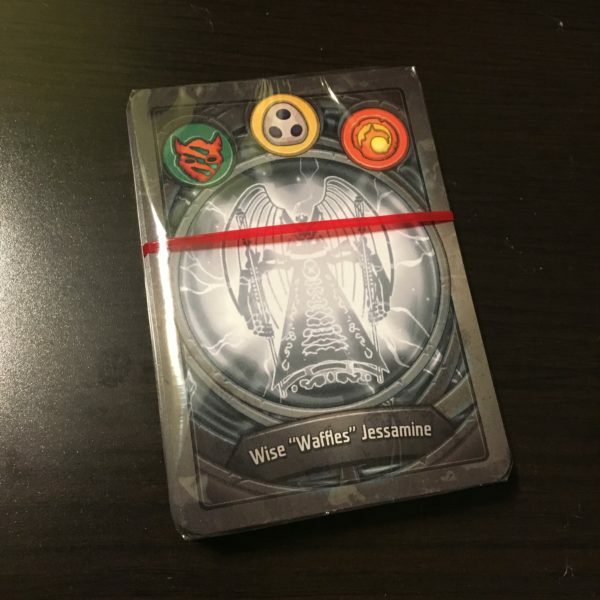 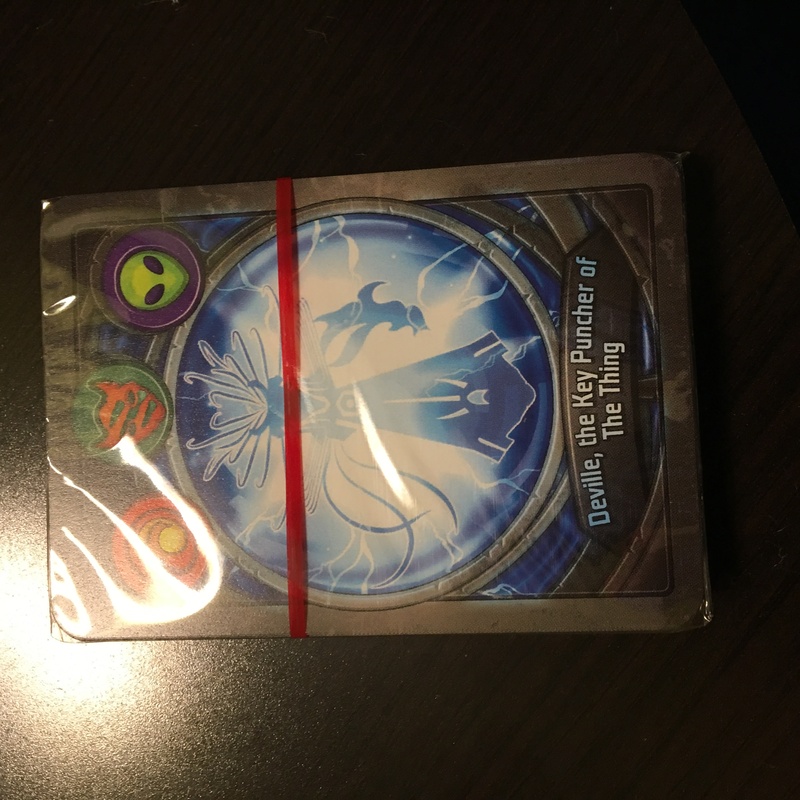 Decks are never customized so what you get is what you get and the game will otherwise play like other CCGs. 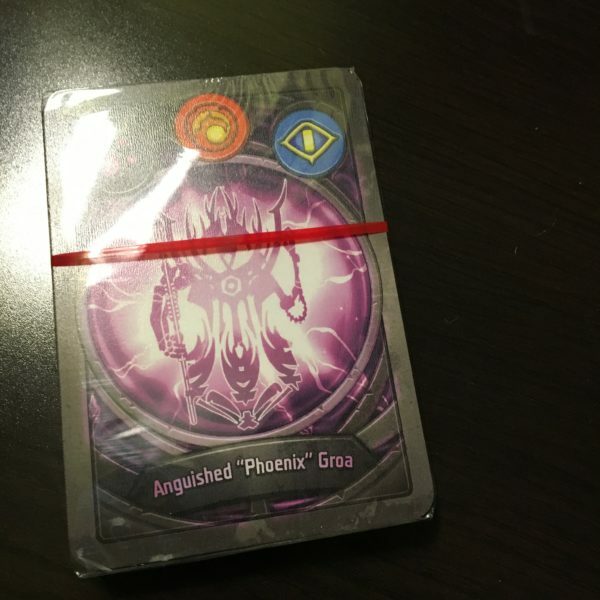 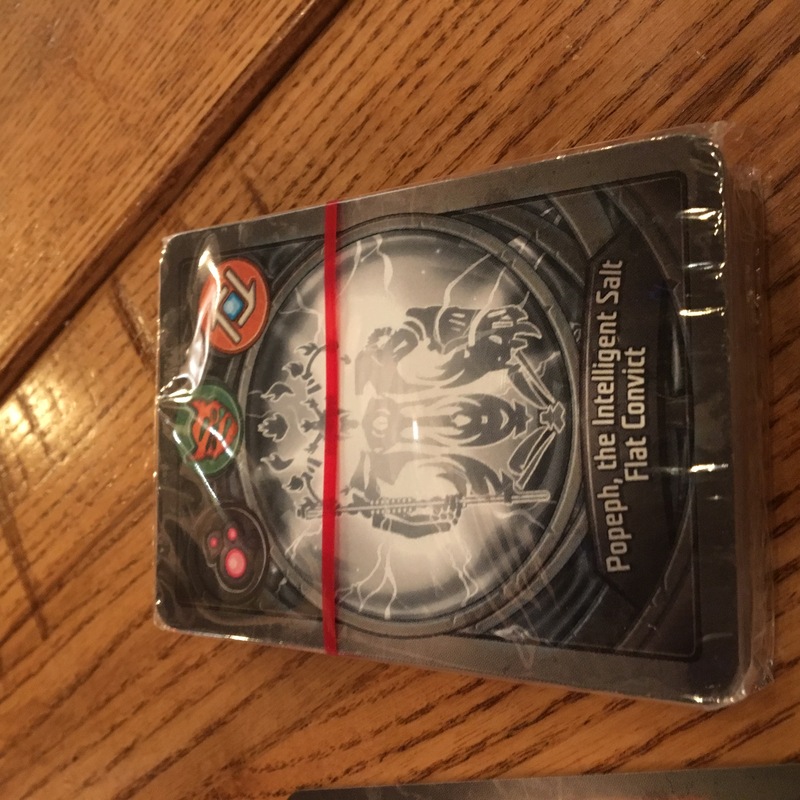 FFG then really got things going after they described more of the IP and factions me at play by announcing that they had a limited set of decks they were giving away to everyone in attendance at the event. 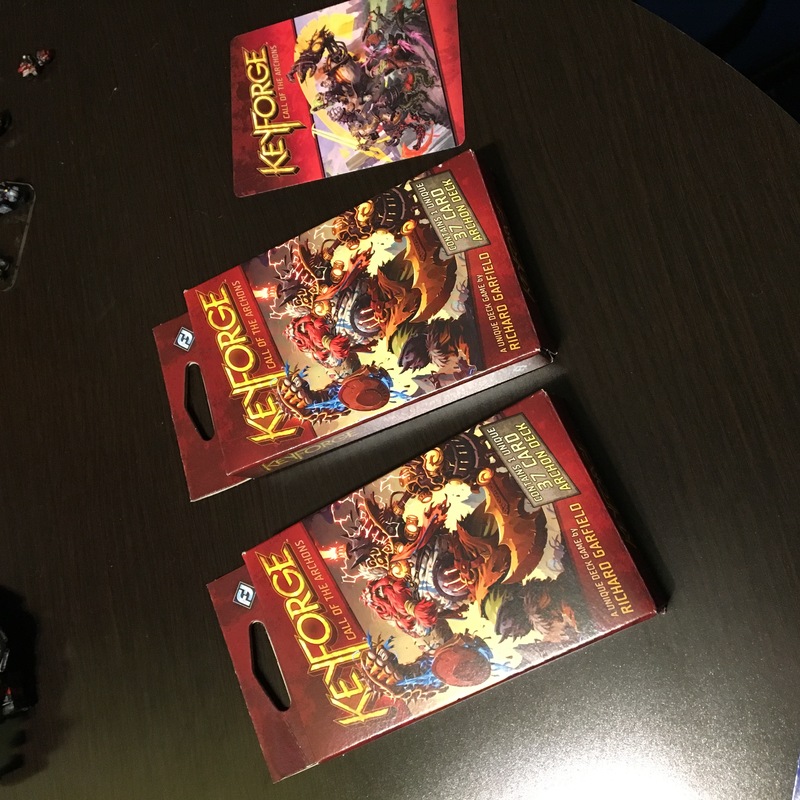 Pretty amazing move and an unexpected treat, harkening back to the Gen Con events of old where it wasn’t uncommon to come home with a bunch of great swag. 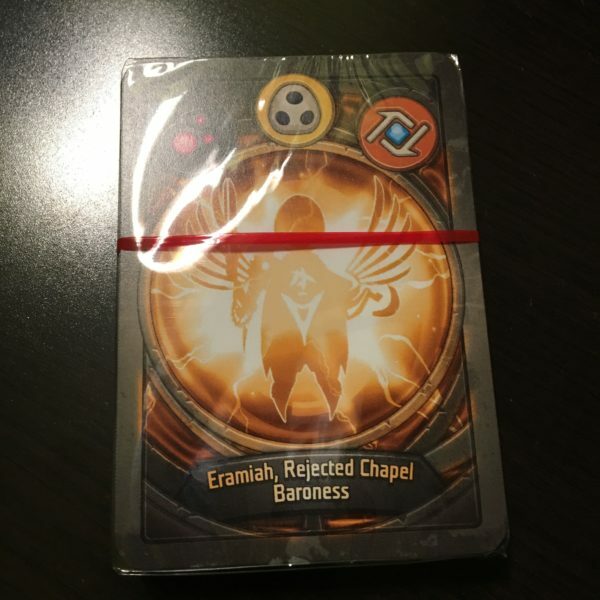 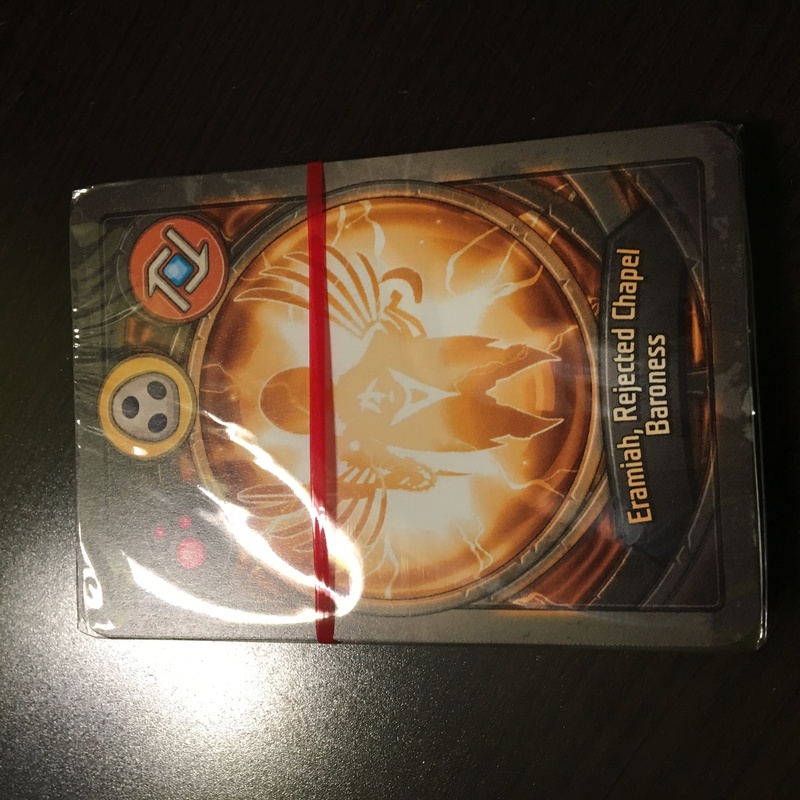 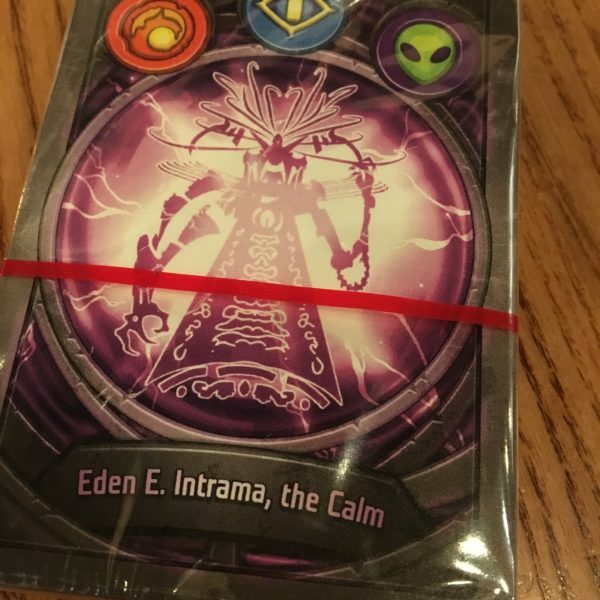 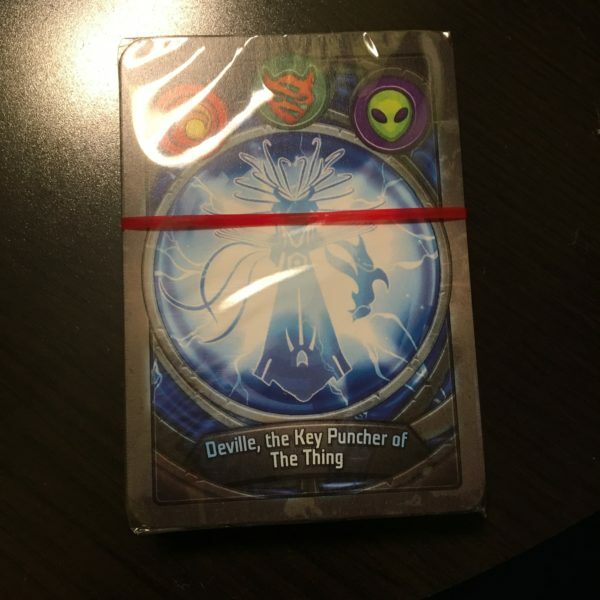 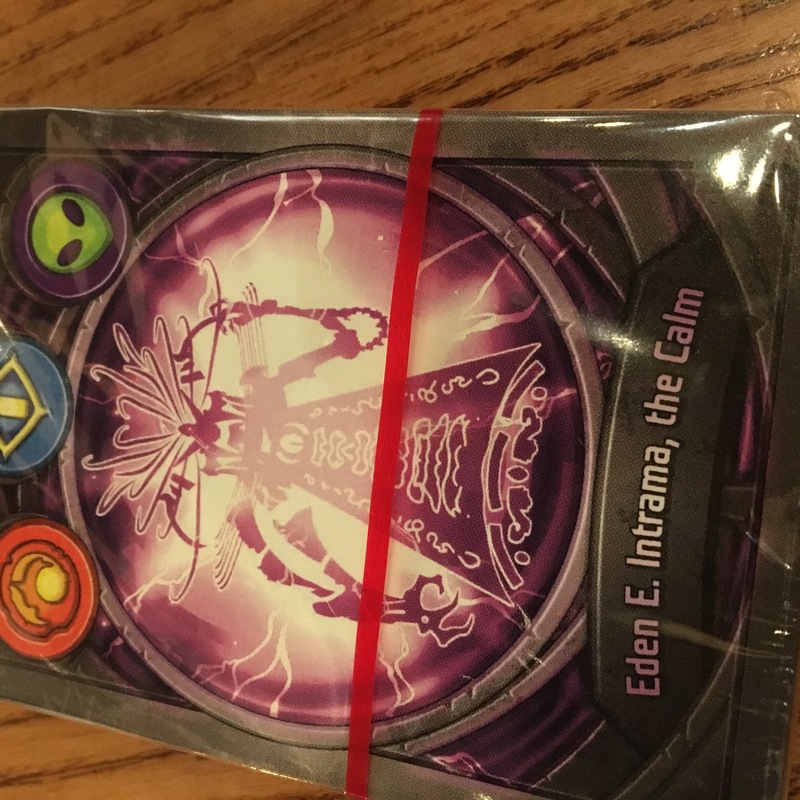 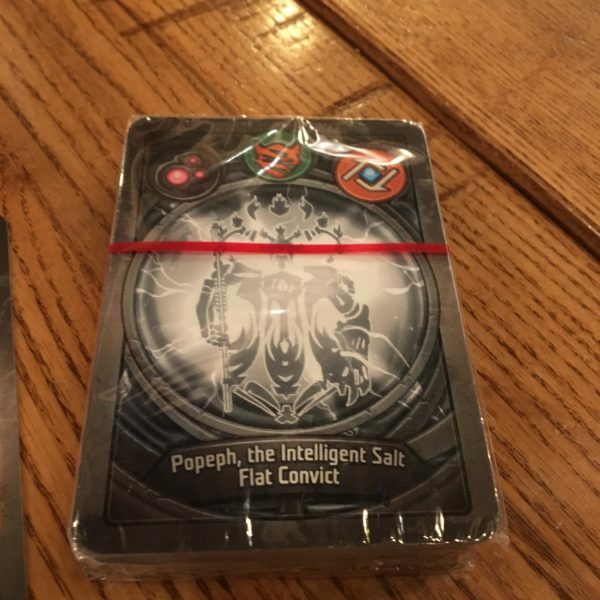 The rules are online on the FFG site but I haven’t had a chance to fully digest them and play a game but opening the packs my friends had revealed some pretty funny and unique deck names. 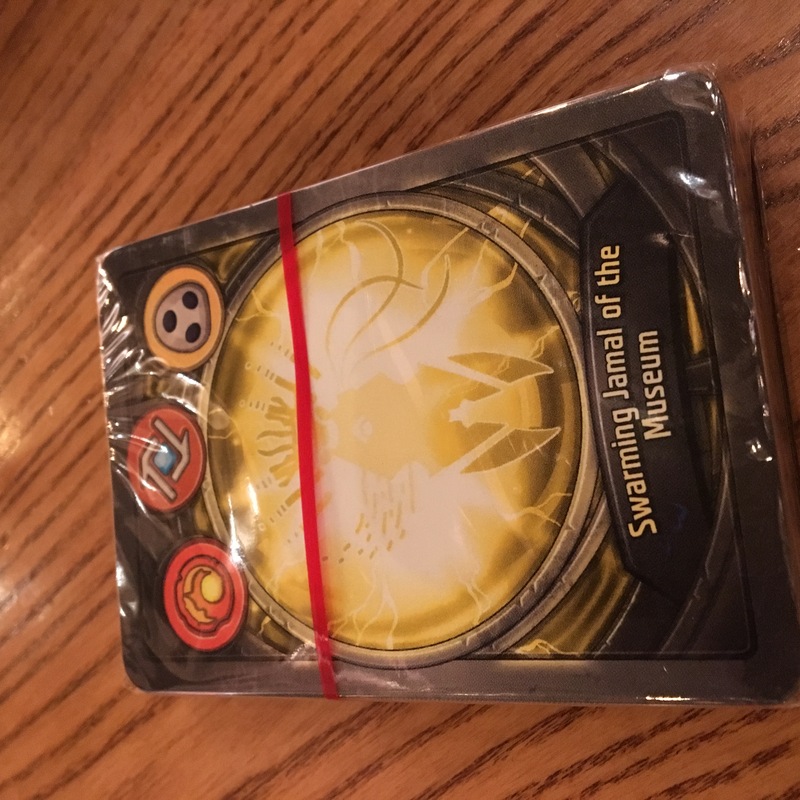 I’ll leave you with them as long head off to play my first games of x-wing 2.0.